Perhaps you are investing a lot of time doing internet marketing, but you know that there are other strategies to double the visits to your site? Do not get me wrong, you will not have to stop what you are already doing to promote your site. In this post I’m going to present clear alternatives to online marketing techniques that you can effectively use to complement your existing strategy and increase your traffic. While it may seem that the short keywords, consisting only of a one or two words, can attract a lot of traffic, often this is not the case. For many sites, as many as 80% -90% of traffic is attracted by long-tail keywords, those a bit longer and composed of several words. If you can identify the appropriate and specific long-tail keywords, writing and optimizing your content, your pages will be able in a short time to get high rankings. I’m using LongTail PRO, since a few months already, with outstanding results, both for increasing my blog traffic and for creating brand new niche sites, based on long-tail keywords. You know what the rich snippets are? It’s that part of text under the title of your pages in SERPs. They are something more than the simple description: they can be set to contain an evaluation by users, technical information on a product, or details about an event (since more than one year already, Google has removed authorship from its results). If you are not applying already this strategy, you should start using it right away: it has been reported that may increase the number of clicks by around 30%. Tip: Author HReview is a perfect example of a plugin you can use to boost your visibility in SERPs, by displaying rich snippets for your articles, reviews, etc. The titles and descriptions of your blog must seize your reader’s attention, effectively introducing the content of your pages and ensuring that the users want to learn more and click on your links. At the same time, you’ll have to ensure they are optimized in SEO terms. Neglecting these two elements is really a very serious mistake, if you have the objective of getting more and more visitors to your site. Internal links are links pointing from one page to another one within the same domain. Doing a proper internal linking is not important only for SEO, but also to retain your visitors, decreasing your site bounce rate and increasing the pageviews. As you have seen, in this post I have illustrated some interesting strategies you can use to effectively increase the traffic at your blog, without doing any internet marketing. These techniques are very powerful if you want to double the visits to your site. Also, they will help you get a good ranking and, above all, to drive users to your pages. Are you already using these strategies, or do you prefer any others? Please let me know what you think in the comments below, and don’t forget to share the post, if you liked it! This surely is an interesting topic of discussion and there’s a lot one can do without heading in for IM, just as you mentioned. Yes indeed, long tail keywords are the best ways actually to increase your blog traffic, and keeping it all natural is what works. I agree about the Keyword planner as I use it myself. Nothing works better than grabbing the attention of your reader through eye-catching titles and descriptions – if they are good, they’d pull readers to your blog, especially the unknown ones, so that does work! Thanks for checking out the post and for leaving your meaningful comment. I do love LongTail PRO, it has helped me a lot, so far. Both for improving my blog traffic, leveraging the power of long-tail keywords, and for creating profitable niche sites too. Appreciate you visiting and sharing your views. Long tails are definitely the way to go and is the future. Rich snippets, it is clear that it increases CTR and is highly beneficial in boosting organic affiliate sales. Sadly, for some of the blogs Google’s not showing star ratings on SERPs, even if they implemented it. Another surefire way to increase traffic is producing long form content. By this, you cover more long tail keywords, and you have higher probabilities of ranking higher and getting traffic. For long content, including table of content helps greatly. It makes Google show site links for your blog posts in SERPs. This is one of the less-known killer strategy. Best of luck for the week Erik. I guess it’s a matter of time for your site to be shown with rich snippets on the SERPs. Agree on creating long content, only if you are actually providing useful information. Thanks for adding that, tables of content are indeed really interesting for readers. Appreciate you sharing your knowledge and spreading the word on Twitter. Have a good week, Akshay. I use all the tips you give apart from rich snippets, especially the long tail keywords. I will have to look further into rich snippets. . It’s not a lot of use though unless your site appears on the first couple of pages of results but I can see that it can help get it there. glad you are already using some of the strategies mentioned in the post. About rich snippets, having them may help you improve your rankings in SERPs. After running a Google search, users will be attracted to click on sites showing rich snippets. Really interesting article, targeting long tail keywords as been proving overtime to be the best way to compete for search traffic with the BIG establish brand names outthere. I haven’t try long tail pro, but very comfortable using Google keyword planner as it’s Google’s own product. Though, I have been reading good things about long tail pro usefulness and effectiveness on digging deep into keyword research, so might tested it out this time. I love using LongTail PRO, for different purposes. The question now is when is the perfect time to apply these strategies? Is it before or after a post has been published?. I see that the actions to be taken readily fall within on-page search engine optimization. When is the time to apply them on a blog? I believe you need to make first a research of long-tail keywords to target when writing new articles, and then producing the content, optimized and based on them. As for rich snippets, you just need to install a plugin (or make the proper change to your site code), to be eligible to have your blog showing them on SERPs. Same for titles, descriptions and internal linking, it must be done before publishing the post. That’s good to hear, but how we can find easy to rankable low competition keywords? Can you show us a way that we can find such terms easily. I use LongTail PRO to find those rankable keywords with low competition. Thank you, I have long tail pro but actually getting less effective in my niche Let me try to use your method. Good to hear the resource is going to help you, Rekhilesh. I completely agree with all your points. Long tail keywords can increase your blog’s traffic and I have been using it for a long time, but recently I started using Rich Snippets while updating my old posts and I saw a significant increase in the article rankings which boosted the traffic. So, I would recommend everyone to start using Rich Snippets on their blog to increase traffic. thank you for reporting your experience with long-tail keywords and rich snippets. You confirmed the points in my post. I totally agree with you. Although, I believe in expanding the true and meaningful subscribers rather than filling up the email list with irrelevant people. Your methods are perfectly portraying my viewpoint. Not only will we increase the traffic, but we will also find the relevant subscribers. There is no point in having thousands of inactive subscribers. After all, you are even going to pay more for managing such big lists. Better having tens of really active people in your newsletter, This means conversions! I couldn’t agree more, the tips shared are useful ideas to double the visits on your site without doing internet marketing. I want to highlight the importance or the benefit of using/focusing on long-tail keywords. Long-tail keywords are cost-effective and high-performing for both paid and organic search. 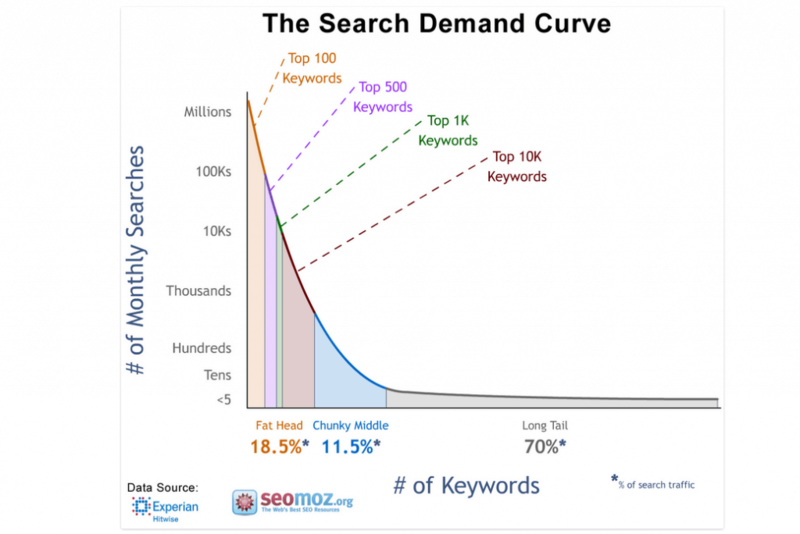 Focusing on long-tail keywords means less competition. Why? Because many believe and still use the normal keyword. Additionally, the more specific your market is, the less competition you will have to compete with. Well, long-tail keywords tend to be far more descriptive, they also tend to deliver more targeted traffic. you’re correct on long-tail keywords. or else, improve your blog traffic. I started using Long-Tail PRO to find those precious words. Thanks for checking the post and leaving your thoughts. From all the tips you gave, I do all except for the rich snippet, I didn’t know it can increase traffic. Longtail keywords can boost traffic from search engines. If we can write longer and more quality contents, then we will be able to cover more keywords in our post. I use keyword planner though I’ve heard of LongTail PRO but I haven’t tried it. Thanks for sharing these useful strategies with us. And good to hear you are using long-.tail keywords already. May be you can give LongTail PRO a go. There’s a free trial, waiting for you. Relly good you have analyse such important details which really make a difference. Are you going to try these strategies on your site, Himanshu? This was a great post to check to see what I’m missing and I see that I’m missing the Rich Snippets tip. I had started using more long tail keywords on my posts this year. I had great luck which just entering a two word keywords in the past and being more specific with long tail keywords will benefit in the long run. Thanks for the insight on doubling traffic without actually doing internet marketing. This was definitely a very valuable post Erik! Have a great weekend! you made some interesting points in your comment. You’re right on building authority. After all, once you have set up everything on your blog so to display rich snippets, it’s up to Google to make them appear on your site SERPs. Glad you enjoyed the reading, thanks for visiting and have a great week! When I read the post title, I taught you will talk about traffic generation through off-site optimization. Those on-site improvements you mentioned are really helpful rank our site in the search engine results page resulting in more clicks and hence, increased site visitors. Glad you found something useful in this post, Gilbert. Hope you can apply these techniques on your site. I do keyword research regularly and agree with tips that you offer! Useful and helpful post, thanks! Thanks for the useful stuff. I agree that long-tail keywords really helps in ranking. Thanks for the feedback, Rehmat.